Snoring is an annoying problem that can be very distressing. We can provide you with a safe, simple appliance which is an effective way to stop snoring immediately. The device is custom made to fit your mouth and works by lower jaw advancement, which the British Orthodontic Society has stated is one of the few clinically proven ways to stop snoring. After a few days you will barely know you are wearing it, but your partner will be amazed. Many patients completely stop snoring and almost all notice a significant reduction in noise levels. 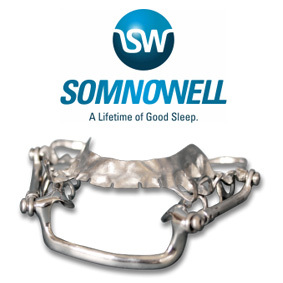 The Orthodontic Clinic can help you to stop snoring with the Somnowell anti-snoring appliance. If you suffer from problematic snoring, then help is close at hand. The overwhelming majority of sufferers can be effectively treated using an oral device known as a Mandibular Advancement Appliance (MAA). MAA's are devices which have been scientifically designed to gently retain the tongue and lower jaw in the 'recovery position' whilst you sleep. This help to keep the airway open and alleviate the problem. This simple and effective treatment has become the world's most popular solution for snoring. Searching the internet will quickly show up a wide range of oral devices from relatively inexpensive one-size fits all thermoplastic solutions up to mid-priced plastic acrylic devices. However, the Somnowell device has been designed to outlast and out-perform all of these products. 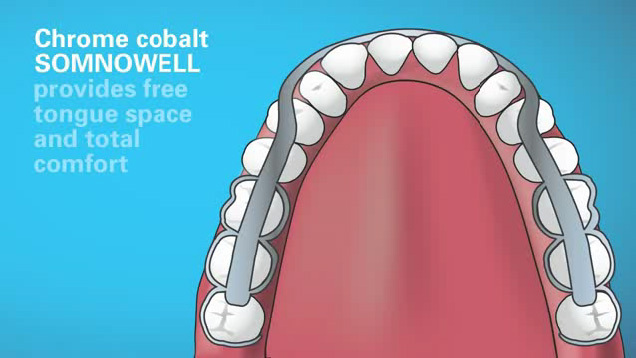 Somnowell is the only appliance made entirely from chrome cobalt metal alloy and is designed using techniques normally reserved for jaw specialists. Follow up studies of patients treated with the Somnowell reveal a reported success rate of 98%. The medical, design and production technology that combine to make each Somnowell unique enable us to deliver a treatment that is both highly effective and tailor made for a perfect fit. The Somnowell is the only MAA designed to last a lifetime. You can find out more about Somnowell devices here.